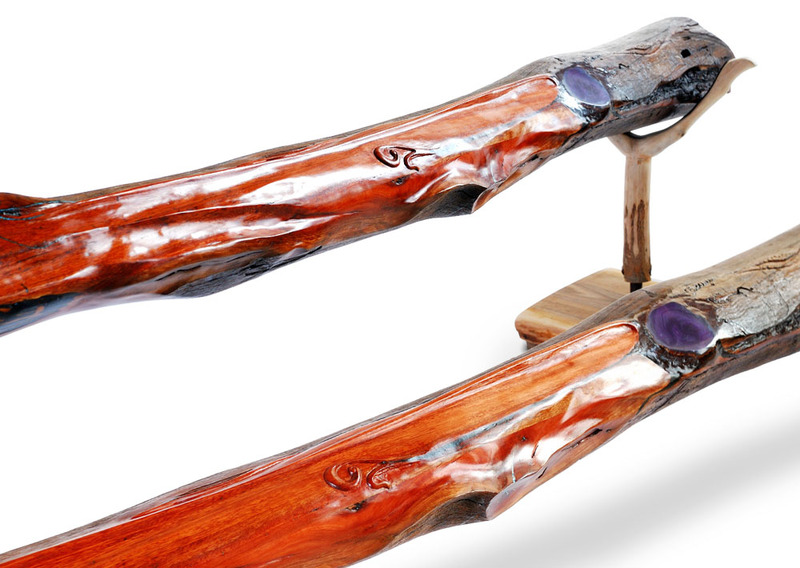 Special didgeridoos are always difficult to describe. But “Oldhar the Celestial Traveler” puts this quest to a whole different level. 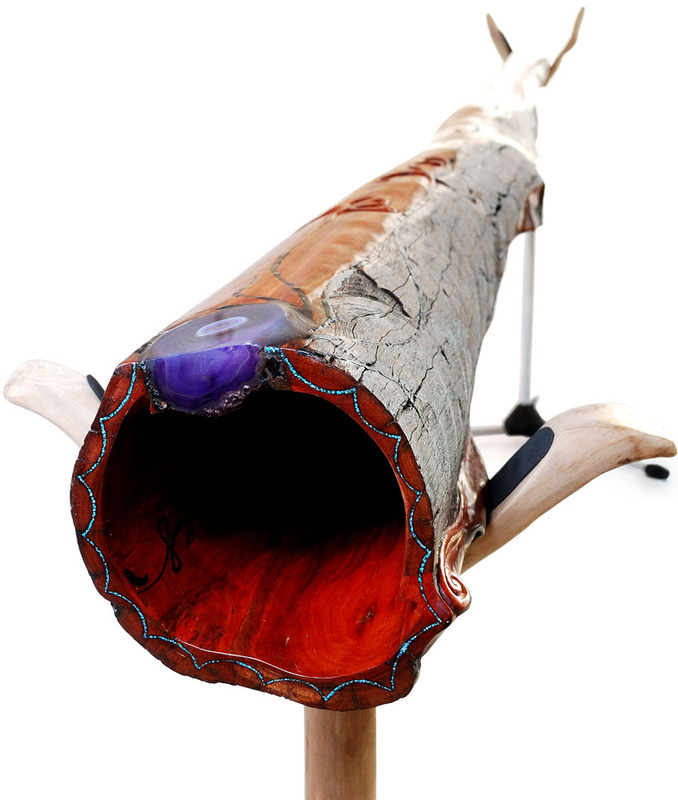 8 months of intensive making, thousand changes and experiments, thousand stones and little details, thousand hours, thousand prayers, thousand thrills… this didgeridoo is all in thousands compared to ordinary didgeridoo experiences. It has come to this world as the long forgotten power that creates and destructs in a glimpse. So I tried to be out of its way. But I did follow Oldhar on the first journey. 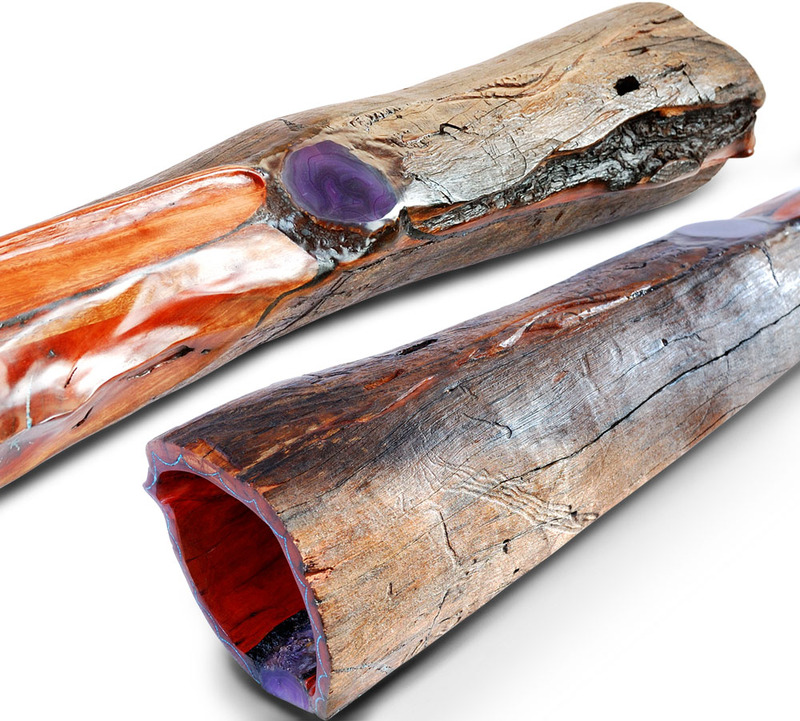 Wherever it has roamed it has produced an effect of awe and disbelief to true didgeridoo lovers. By the opulence of sound it delivers, from which the ground shivers, but also with the powerful archaic appearance unseen before. But let me take this story to the beginning. 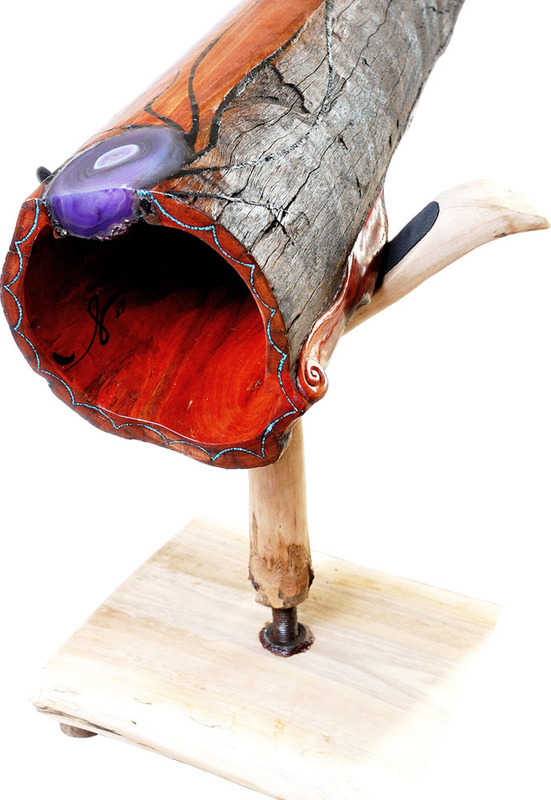 Since this was was a “secret” didgeridoo, Da could be the only one to hear it in the making. I was cunningly interested how she would react. I remember when I first finished the sound of Oldhar and played it to Da who has heard many many many didgeridoos in her life, including all Duendes. She opened her eyes like a child and said ” Oh my God!”. This is also something that happened to me when I was recording Oldhar in the studio. I recorded some instruments before but suddenly there was a resonance of an instrument that was not there previously. I stopped playing to see what in the studio is resonating, only to find it was Oldhar itself. This is why it is very difficult now to put this into words. 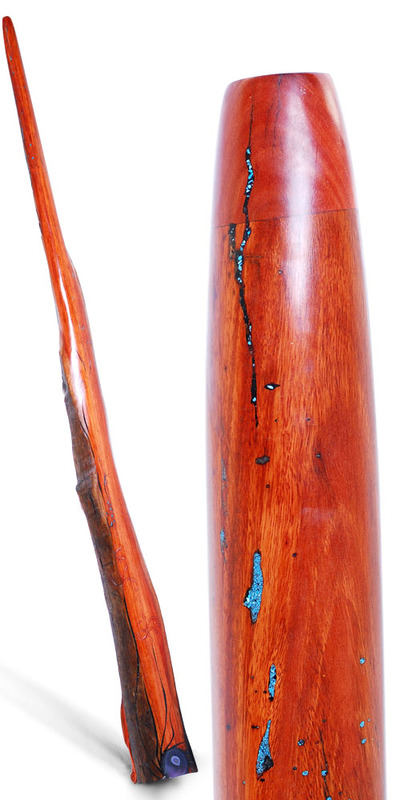 But Oldhar has this unbelievable clear and sustain for a didgeridoo due to the balance of the tube and the resonator box and the hardness of its wood. 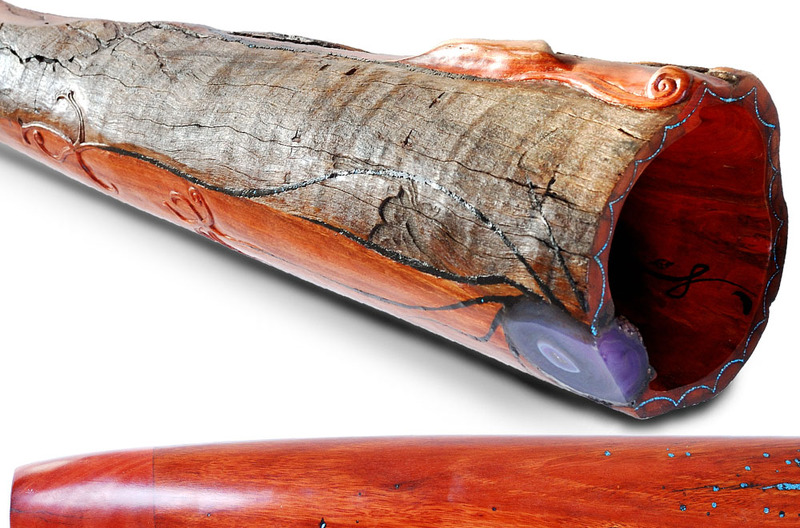 The bass of this didgeridoo is extremely heavy. It is absolutely the loudest didgeridoo of this depth that I have ever heard. So when it’s played its bass is undeniably heard. This refers to sub bass, but also to the low mids- the voice range, so this is quite a singing didgeridoo! The next thing once can notice about the sound is that Oldhar amplifies EVERY sound! Even if you play very soft breath noises they will be hearable to the mid sized audience. This I remember from a magical situation when the owner of Oldhar played acoustically breath sounds over the music that was playing in the background. These 6, 7kHz sounds cut through the music effortlessly and for the first time in my life I understood what power live sounds have. This extension to high spectrum is a regular part of Oldhar’s spectrum. Oldhar is all about sound, so I had to neglect the tuning a little bit. Or better to say, I did not know how to tune it better at the same time to keep the maximum of sound spectrum. The toots are sometimes a bit off. To me it doesn’t make a big problem as it gives a lot of character and nothing is painful for the ears. How it will sound with other instruments, maybe we will find out with time. Oldhar ties a lot a playing/sound connection, especially in toots. What I mean by this is that you have to be there for the drone, and you have to be there for every single toot to fill its energy and unleash its full potential. If you are insecure with it, it will be very hearable in the tone. As well as if you hit it right. Oldhar is a powerful creature and asks power from the player. It is not a great surprise considering its shape and volume. Unlike other grotto didges that I made, Oldhar is quite open, at least for Duende standards. This means about 5mm more in diameter, but still it makes a difference. Oldhar tapers to the perfect 31mm mouthpiece gradually, but you can still feel the openness of its tube. In terms of playing the basic drone it means you have to be quite tense and quite relaxed at the same time. Especially as this tension gives you the upper harmonics of the drone, and relaxation gives the fullness of bass. So as we all want both, it makes us learn this up/down, male/female, hard/soft, yin/yang principle of the lips. 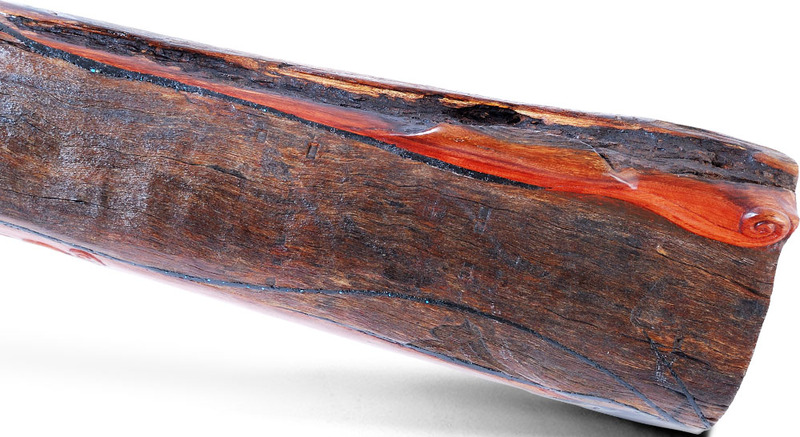 But I would say the toots are the most unusual characteristic about playing this didgeridoo – they are not in the place where you are used to find them. Experience tells us it does not take long time to accustom, but it also does not take long time to lose it. 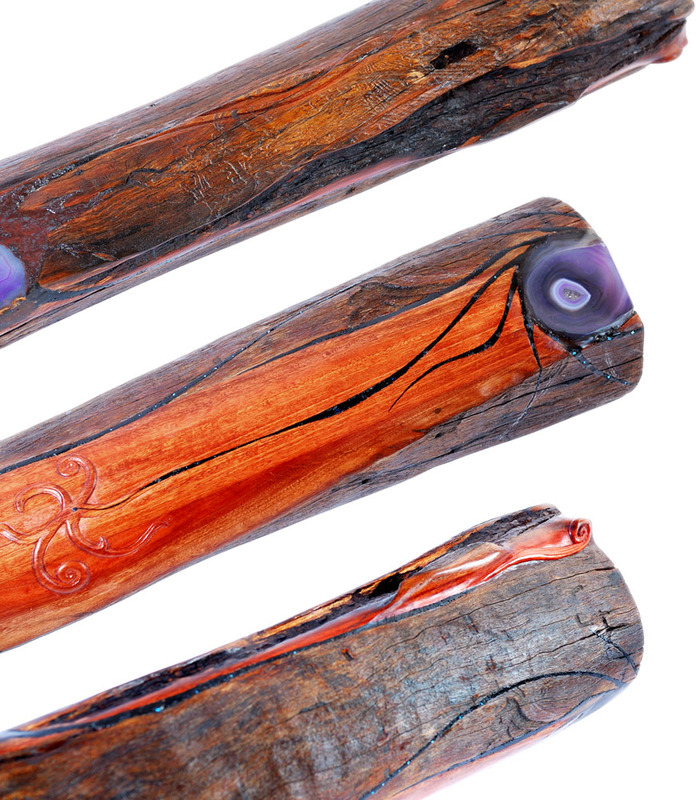 So Oldhar asks either for a superstate of your overall didgeridoo playing or a very strong relation to it – playing it on a regular basis, starting from the basics. One of the most challenging and at the same time gratifying techniques I found was changing toots with singing lines. This really brings out the orchestra inside. But you must be ready for the toot and the singing note, and adjust them before you actually perform them as they are stable in one narrow band, compared to other Duendes that I played so far. 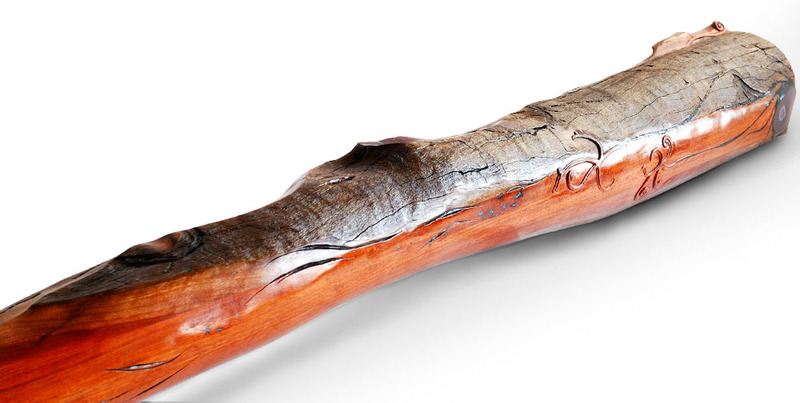 All in all I would never say Oldhar is an easy to play didgeridoo, but it is very reasonable in its demands and will gratify you tenfold for your effort! Beneath you can see an unpracticed first performance of Oldhar. 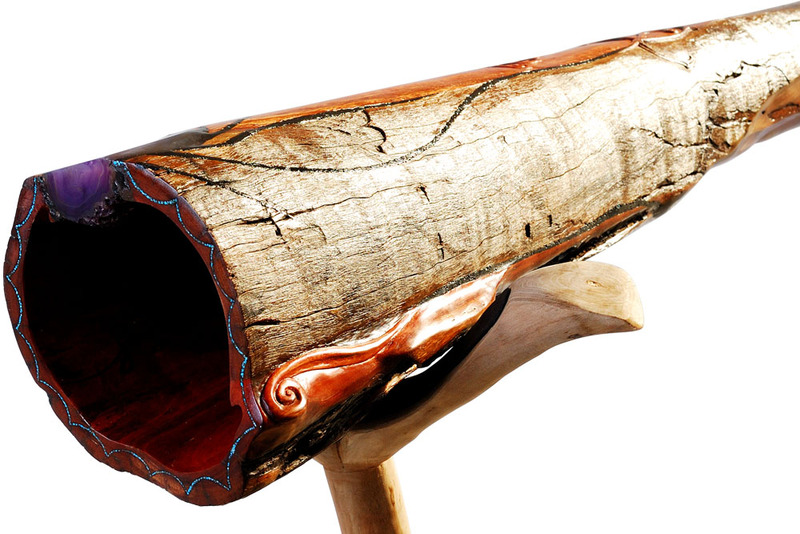 The guidance behind Olhar was to create a didgeridoo that at the same time had strong recognizable simple lines and carefully chosen details to spice them up. 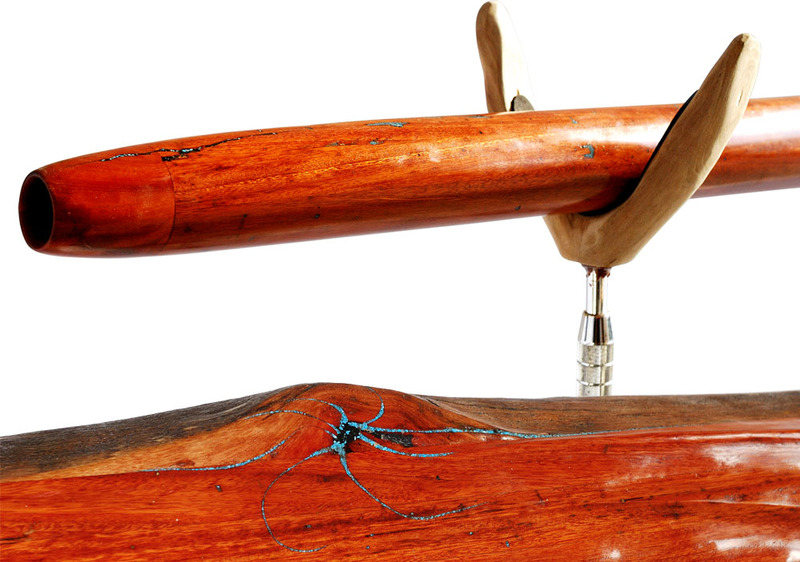 Quality and choice of materials was to add another dimension of value and impression to this instrument. 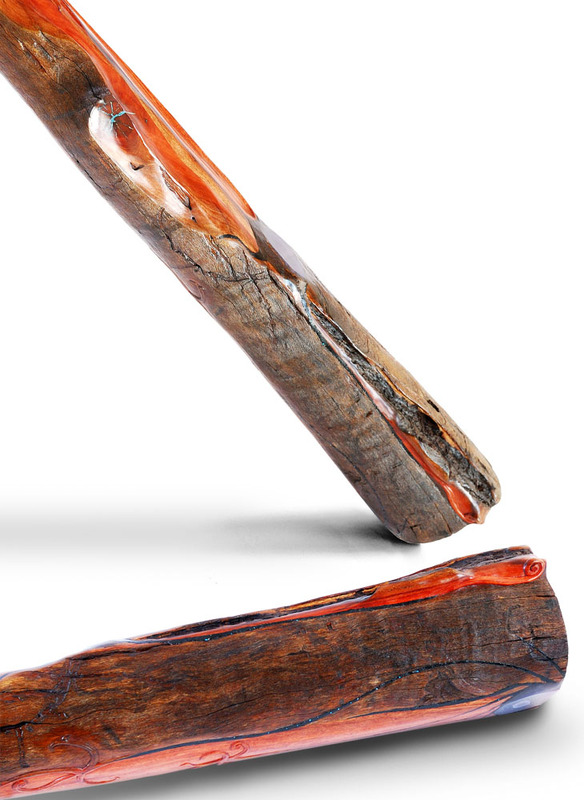 There are two grand stones on Oldhar, which were carved into the wood. Around these stones, which resemble galactic hearts of the story, there are waves around them which spread the pulse from the stone center. 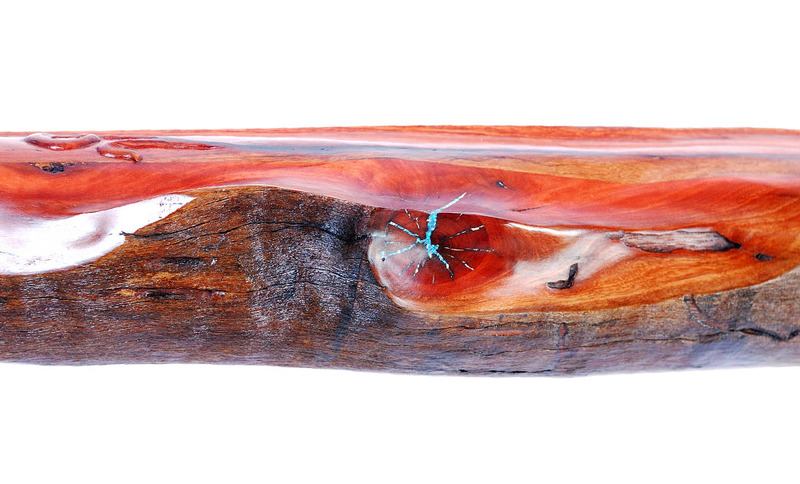 The waves are made by lava, hematite, black sand and turquoise. 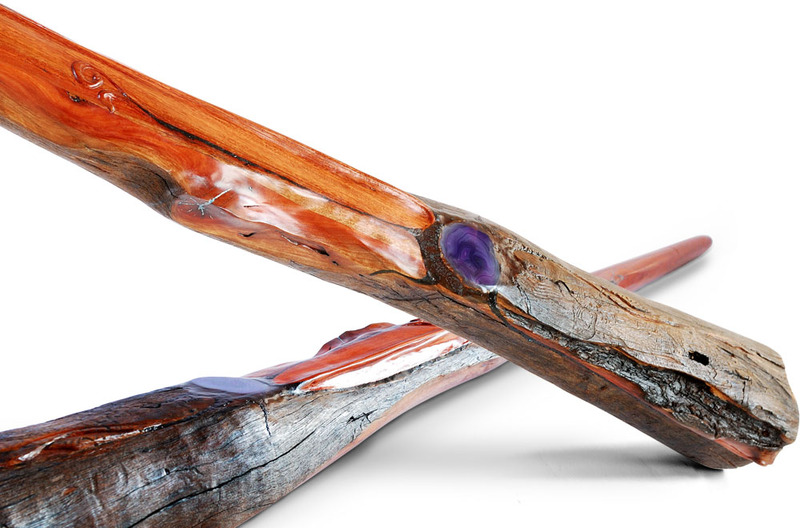 They flow into another wood and stone carving of stylistic stars or eternal flame – new centers of life. 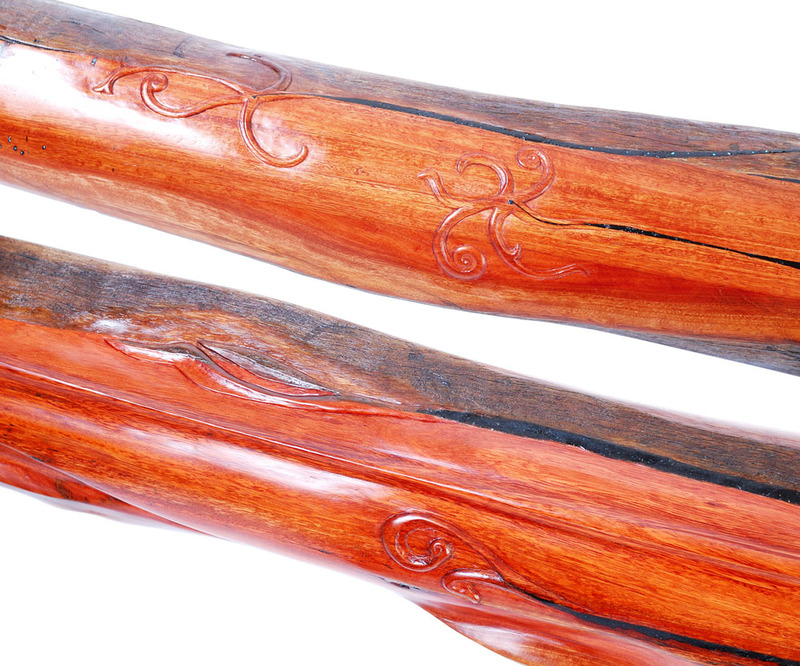 Oldhar puts a balance between old black wood which has all natural carvings and long lines in red (younger) wood. At certain moments these worlds meet and create the unifying form. 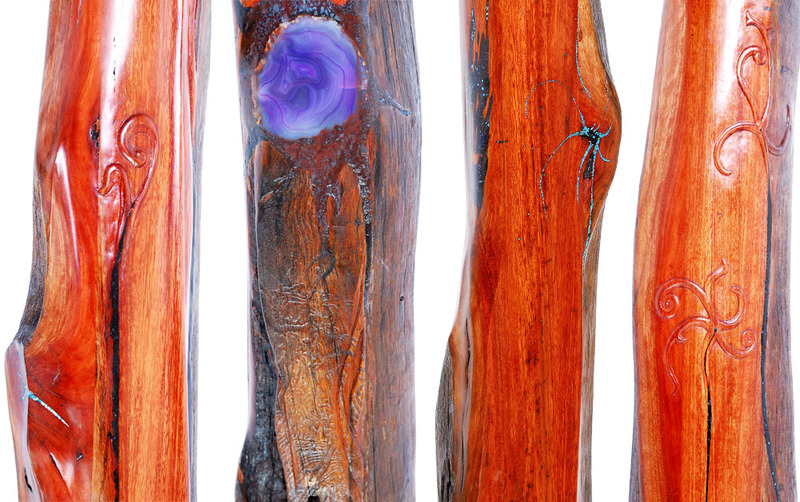 The black wood is all in detail. Very small creatures’ channels and pits, hills and labyrinths. 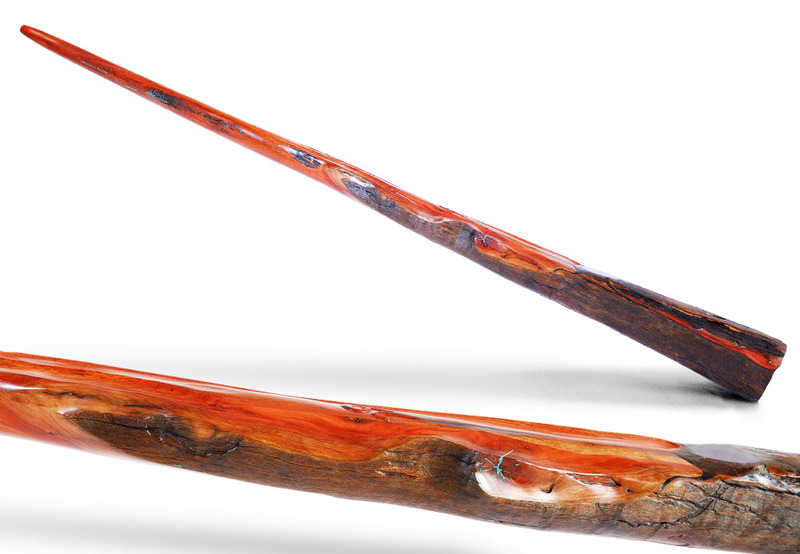 The red wood is in the motion. 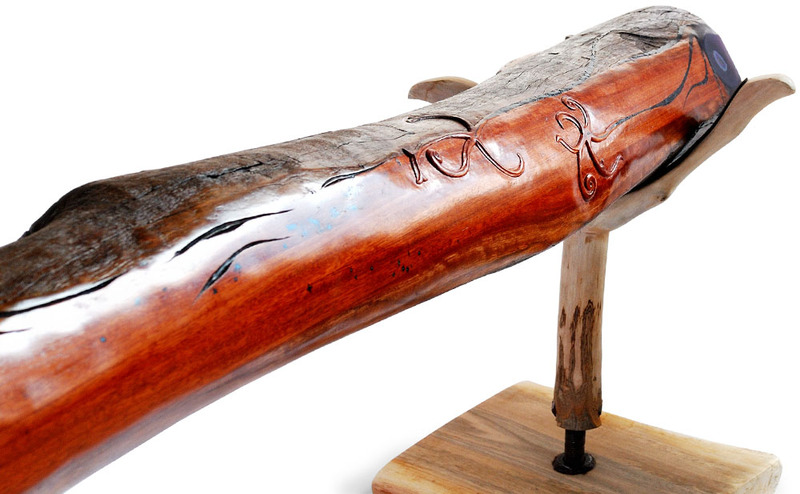 Long movements throughout the body of didgeridoo. Like a contracted muscle. Still the balance comes with changing roles – finding the movement of black and detail of red. The most upper part of Oldhar is most separate from the rest, but still very complementary to the story. It was the part that had many natural little holes, so this is the part that got most of little stones, single stars unifying just beneath the mouthpiece. 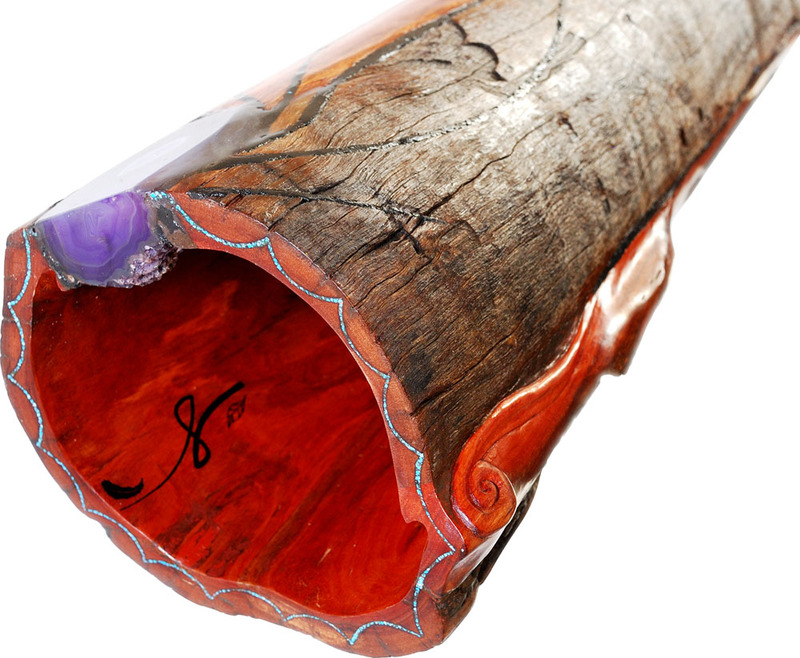 It is difficult to regard this didgeridoo as a didgeridoo, analyze it and “explain” it. It is a story itself and an alive creature that tells this story. It is something to experience. It is your companion on a journey to Cosmos, rather than a tube through which to blow. Since mine and everybody else’s energy and time is limited, I feel instruments like this will always be exceptionally rare. I hope that you can get the cosmic impulse from it, motivation and energy every time you approach it. Regardless of the fact if you are an owner doing it on a daily basis, or just a passer by, doing it once in a lifetime. 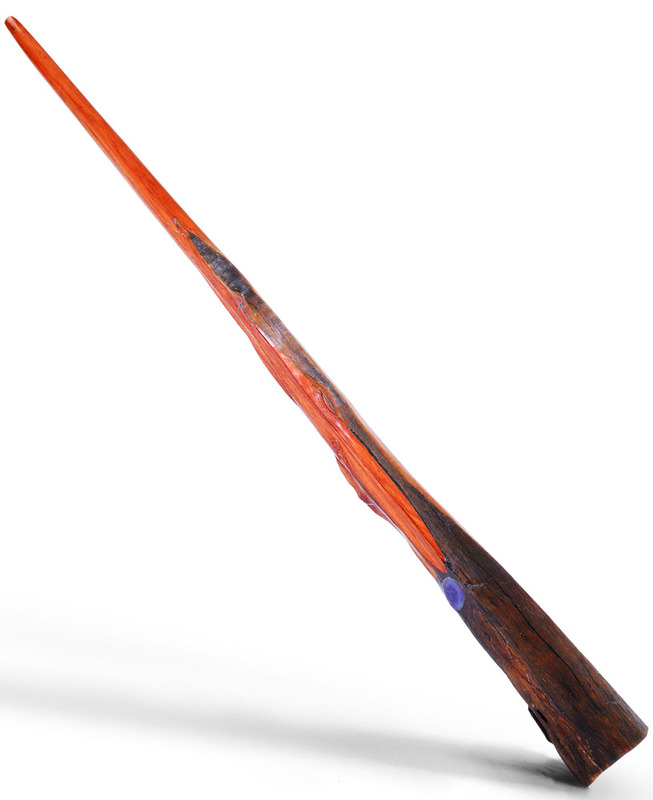 Use Oldhar’s profound didgeridoo moment to the fullest potential and to the benefit of all.